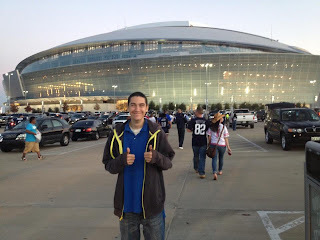 DnBuster's Place: Anthony attended his first NFL game!! We all know that there are only a few things a young man wants and dreams for in his lifetime. 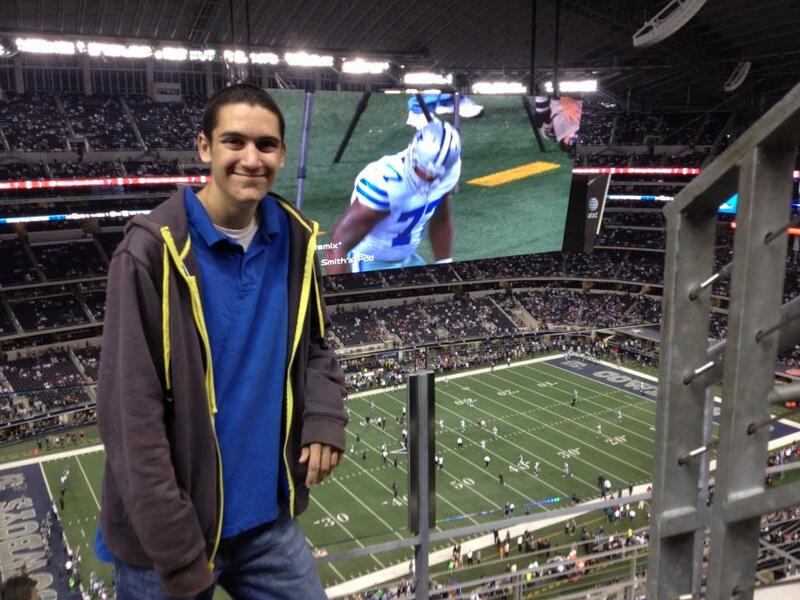 One of those, would be to attend an NFL football game! My oldest son, Anthony had his dream come true this past Sunday night when he was invited to travel to Arlington, Tx with his Big (Big Brothers and Big Sisters). Anthony is far from a Cowboys fan, he was super excited to learn that the Cowboys would be playing the Eagles!! . Anthony and his Big had an awesome time at the game. 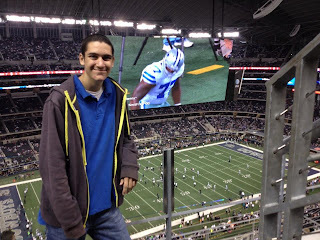 They enjoyed the Dallas Cowboys Cheerleaders, excitement and food of a real NFL game!! 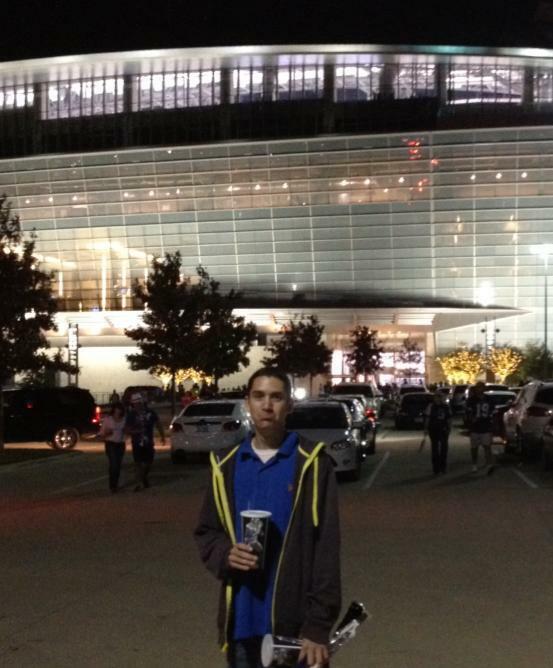 He came home with a Dallas Cowboys car flag and a Cowboys cup and a lifetime of memories! The Big Brother Big Sister Program is a wonderful program. Awww, how sad. I've heard that is a great program. My sister was thinking about joining since she lives away from home and not near any family.